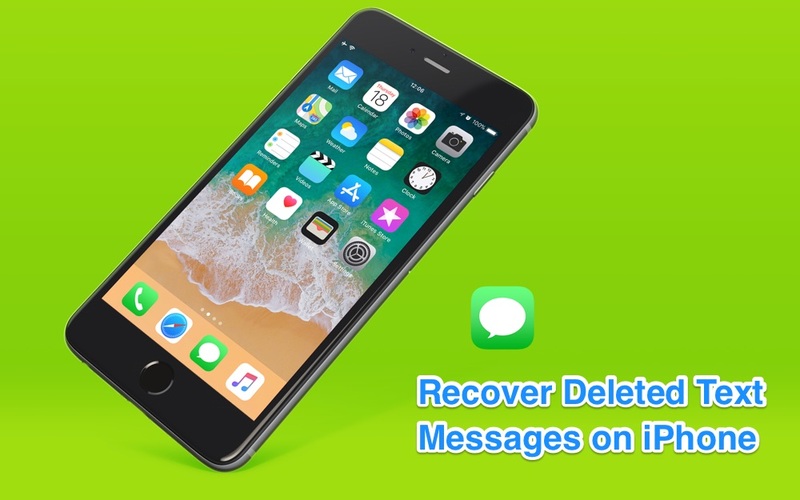 SUMMARY: [How To Recover Deleted Messages from iPhone] Have deleted your text messages by mistake and would like to recover your lost texts on iPhone without using computer or iTunes backup? Here is the easiest and quickest method to get back your deleted text messages on iPhone. Sending text message via iPhone is great for instant information exchanges. However, the sad part is, neither the handset maker (Apple for iPhone) nor the carriers provides software, apps or a service to recover your deleted text messages on your iPhone. The reason is simple. If these deleted messages could be so easily recovered, they are risking the complaint press due to the sensitive information is too easily available. So, the deleted message on your iPhone is hardly get retrieved without using third part iPhone data recovery software on your computer. In this iPhone Message Recovery tutorial, we'll show you how to get back your deleted text messages on your iPhone without computer, iTunes backup and third party apps (Learn How to Recover Permanently Deleted Photos from iPhone 6/6s). iCloud makes it super easy to get back the full copy of information on your iPhone, including your SMS texts, and MMS messages (Read What iCloud Backup Includes). If your iPhone has been backed up to iCloud before you deleted your SMS messages, just resotre the iCloud backup to your iPhone, then you'll be able to recover these deleted SMS messages back to your iPhone without computer. Step 1: Make sure iCloud Backup is turned on in Settings > Accounts and Passwords (iOS 11) > iCloud > iCloud Backup. Step 2: Make sure you have a recent backup to restore from. 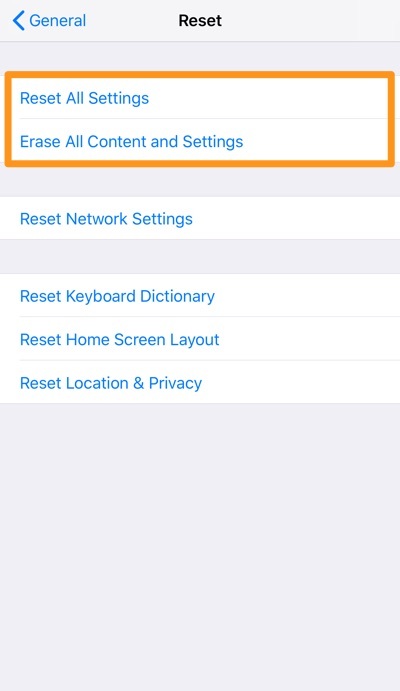 Step 3: Go to Settings > General > Reset, then tap "Erase all content and settings." Step 4: On the Apps & Data screen, tap Restore from iCloud Backup, then sign in to iCloud > Proceed to "Choose backup," then choose from a list of available backups in iCloud. Your SMS text messages are restored from the iCloud backup you chose. 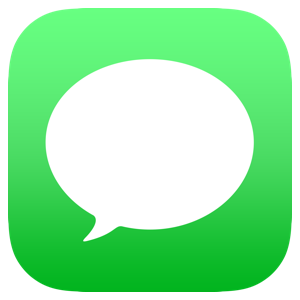 After your device restarts, open the Messages app on your iPhone to see if your deleted SMS messages are there. If unfortunately you cannot find them, then choose an alternative solution like retrieving your deleted SMS messages iPhone with professional iPhone Data Recovery utility - Omni Recover. Download it on your computer to save your valuable SMS data. In iOS 11, thanks to iCloud integration with iMessage, you are allowed to sign in on any device and have all of your iMessage synced with iCloud. So if you have just deleted a iMessage by mistake, and have not synced your device with iCloud, then you have a chance to get back of them by searching on your other Apple devices, like your Mac, iPad or another iPhone. 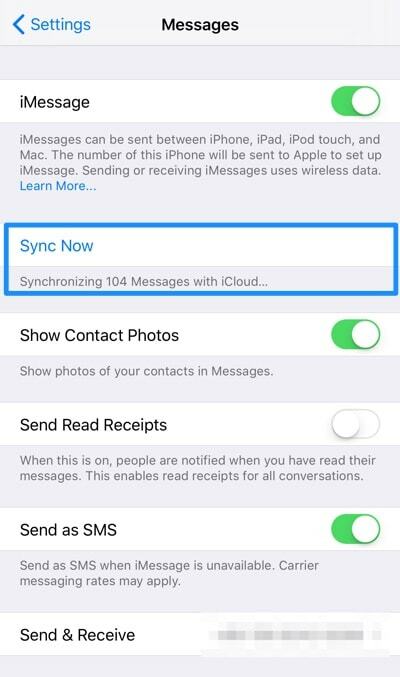 Follow steps below to check whether your iMessage has been synced to other devices. Step 1: On your iPhone, open Settings app > Messages > check the Last Sync date that if it's prior to your iMessage deletion time. Step 2: If you've synced your iMessage, then go look for your deleted iMessages on iCloud another Apple device. Your text messages are vulnerable to sudden and casual mistaken deletions. Even worse, these is no Trash bin in your message box to retrieve them. In some cases, you may fail to create backup for your iPhone as iTunes on your computer or iCloud backup service is somehow unavailable. Does it mean you'll lose your text messages for ever? 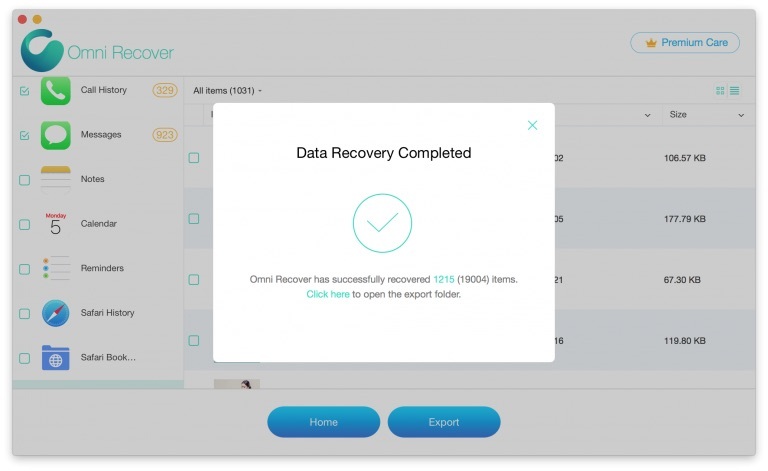 As an award-winning iPhone Message Recovery tool, Omni Recover can recover both your SMS, iMessages, attached files and up to 15+ types of iOS data. Whether you have no backup on your computer, or you just lose your iPhone, you can follow Omni Recover's smart wizard to recover your deleted messages. 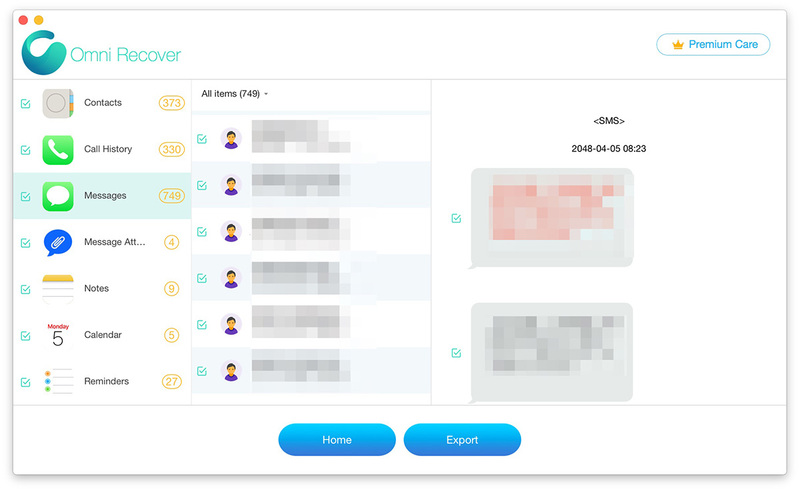 Since 2013, Omni Recover started using a huge table of iPhone Message Recovery algorithms, which ensures the best chance to recover your lost texts. 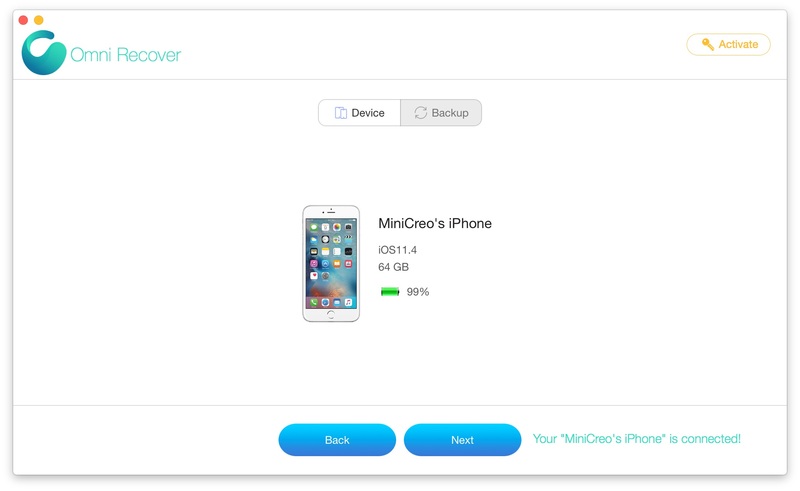 Unlike similar iPhone Data Recovery utilities, Omni Recover goes much further by knowing how to analyze your iPhone/iTunes backup system with minimal data intervene, and how to precisely get text messages you want without bringing in unnecessary operations. 100% Secure. Verified daily by McAfee® & Norton™. Omni Recover is safe and efficient iPhone Text Message Recovery software that's made to retrieve your deleted SMS texts and iMessages on your iPhone. It offers two recovery channels: Recover Deleted Texts from iPhone or Recover Deleted Texts from iTunes Backup. Either way works great in certain circumstances and when you're in complicated situation, Omni Recover would give you multi-layered iPhone Texts Recovery plan. Follow steps below to start recovering your deleted text messages on your iPhone. Step 1: Choose Your Situation. Open Omni Recover and you'll see its main interface. Give a check to see what stage you are at and click Next to continue. If there is no specific scenario for your case, click Next to skip this step. Step 2: You can choose to recover your text messages from your iPhone, or from iTunes backup. Step 3: Let Omni Recover scan your device by clicking Next. This way you'll be able to recover your deleted messages even without iTunes/iCloud backup. 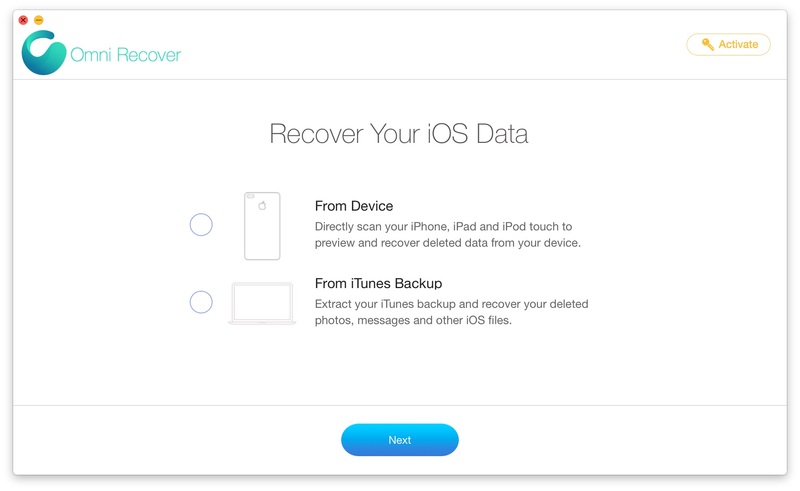 After few seconds, you can choose Message (including SMS / iMessages / Attachments) or other type of iOS data to recover. Click Next to continue. Step 4: Now let Omni Recover to scan the new created backup file. About few seconds later, you can view your deleted text messages. Click Export button to start recovering your deleted messages. Step 5: Now you can view your exported text messages by clicking outcome window tips. As it's entirely too easy to wipe out a bunch of message data on your iPhone, and there is even no Undo, Cancel, or Trash bin option for your deleted messages, so it is a fairly common scenario to have something important that gone for good. 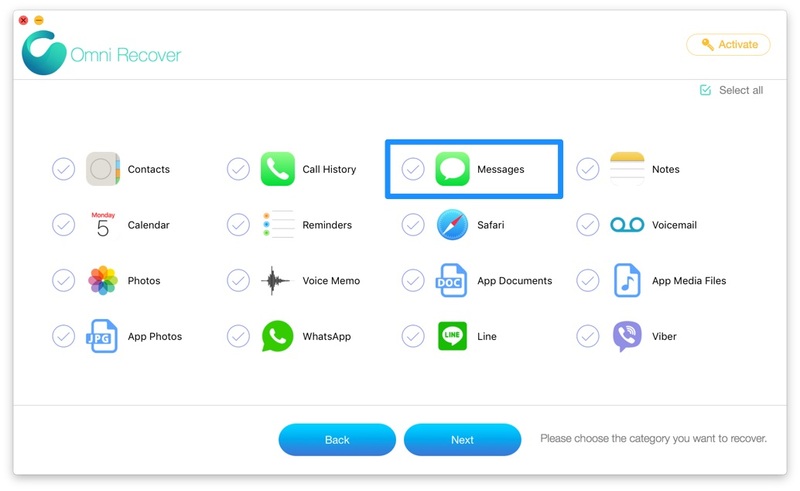 If you have no computer at hand, then follow methods mentioned above to recover your deleted SMS / iMessages on your iPhone without computer. If there is no luck by doing so, try expertise iPhone Data Recovery software - Omni Recover to handle this on your computer. Remember, the sooner you start the more chance you have of restoring your text messages. and more. No matter what stage you are at.